Didcot Power Station A collapsed six months ago, now the first of three men missing under the rubble has been found. One of the three men missing after a building collapsed at Didcot A Power Station six months ago has been found. Ken Cresswell, Christopher Huxtable and John Shaw have been missing since the old boiler house partially collapsed around six months ago. Mick Collings body was found on the night of the tragedy on the 23rd February. Thames Valley Police has confirmed that a body was located today. Families of the three men who have been missing since it happened have been told and are being supported by specially trained officers. Contractors have paused their work to remove the debris so that specialists from Thames Valley Police and Oxfordshire Fire and Rescue along with South Central Ambulance Service Hazardous Area Recovery team can go in the site. The rest of the building was demolished in July so that recovery teams and could get through the rubble and find the missing men as previously the structure was too unsafe. Police say the person has not been formally identified yet but the safe recovery of the body is going to take place and the Disaster Victim Identification process will start. Ken Cresswell, Christopher Huxtable and John Shaw have been missing since the old boiler house partially collapsed just more than six months ago. Mick Collings body was found on the night of the tragedy. 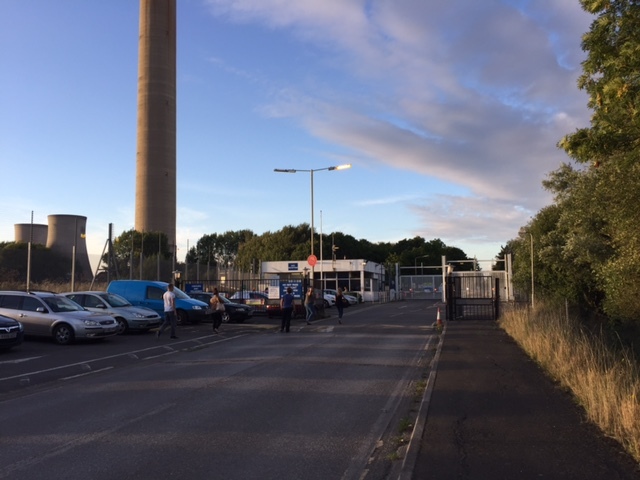 Some of the families have been seen arriving at Didcot Power Station. A guard of honour is scheduled to be held when the body is removed from the site.